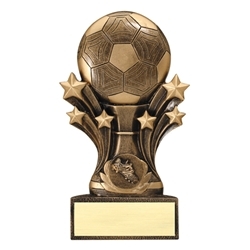 Soccer Star Burst Trophies. This trophy makes a great participation trophy or to recognize a special accomplishment. Available in 3 sizes. Item Size 5", 6", or 7"